It was not long before Saul began to have an exaggerated opinion of his power and importance. This tendency is natural to men who forget the Lord and trust in themselves. 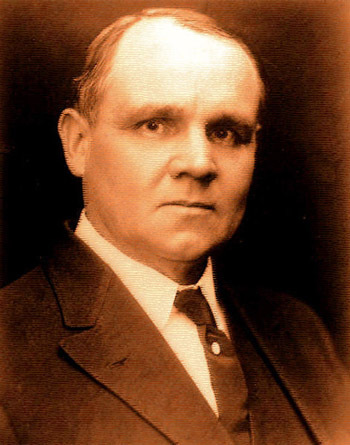 The Prophet Joseph Smith said, “We have learned by sad experience that it is the nature and disposition of almost all men, as soon as they get a little authority, as they suppose, they will immediately begin to exercise unrighteous dominion” ( D&C 121:39 ). It is true that this was a time of great crisis. The Philistines were amassed in great strength and the people were deserting from Saul’s army (see 1 Samuel 13:6 ). 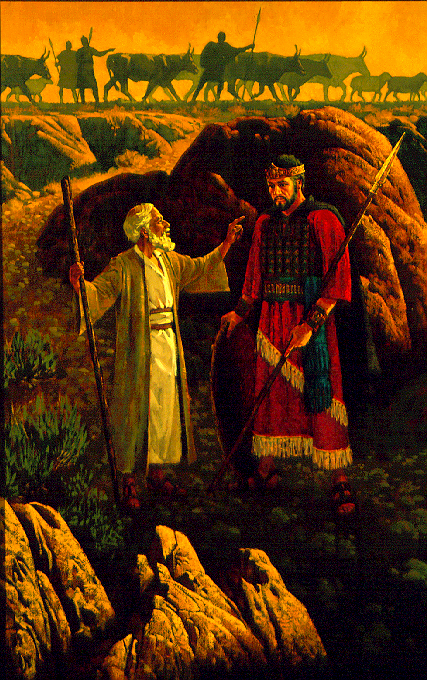 When Samuel was late in coming, Saul took things into his own hands and offered the sacrifices. This action was a great sin. I asked the students in class how this story can be applied to their circumstance. How can youth wait upon the Lord? (see 2 Nephi 6:13 and 1 Nephi 21:23) After working through various circumstances young people find themselves in, they all agreed that one of the most common ways young people struggle with this counsel is in their relationships with each other. There are many times in the scriptures where the Lord shows us that waiting on Him will bring us great happiness. He is the God of the Fourth Watch. 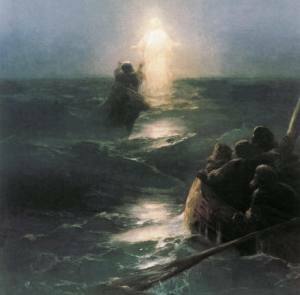 In the gospels (Mark 6:45-50 and John 6:16-21) we read the story of how Jesus’ disciples toiled all night on the stormy Sea of Galilee, likely praying all night for deliverance. It is usually in the fourth watch that the Savior comes to our aid. The watches were periods of time that individuals stood guard in the ancient world. The first watch was typically 6-9pm, the second was 9-12, the third was 12-3am, and the fourth watch was 3-6am. When the Savior saw the disciples toiling amidst the storm, we are told that he did not come to their aid right away, but that he waited until the fourth watch. We believe in a fourth watch God. They toiled and rowed for about three and a half miles all night. Mark tells us that He “saw them toiling” (Mark 6:48) and yet for several hours He did not come to their aid. The assumption that He isn’t listening, or that He isn’t there simply are not true. Sometimes we think that if He is there and listening and that we don’t get the answer we want that He does not care for us. The Lord gives a multitude of examples where He comes to us in the moment when we are about to break. I cannot imagine what the disciples must’ve thought as they toiled in the stormy sea all night past 3 AM. We all have moments like these in our lives. 3 Nephi 1:6-13 relate the story of how the believers in the Americas were to be put to death if the sign of Samuel the Lamanite did not come to pass. I find it telling that the Lord instructed Nephi that, “on the morrow come I into the world, to show unto the world that I will fulfil all that which I have caused to be spoken by the mouth of my holy prophets” (3 Nephi 1:13). It is on the eve of their destruction that the Lord comes into the world. It is when the “water was spent in the bottle” when Hagar is saved by the angel of the Lord (Genesis 21:15). 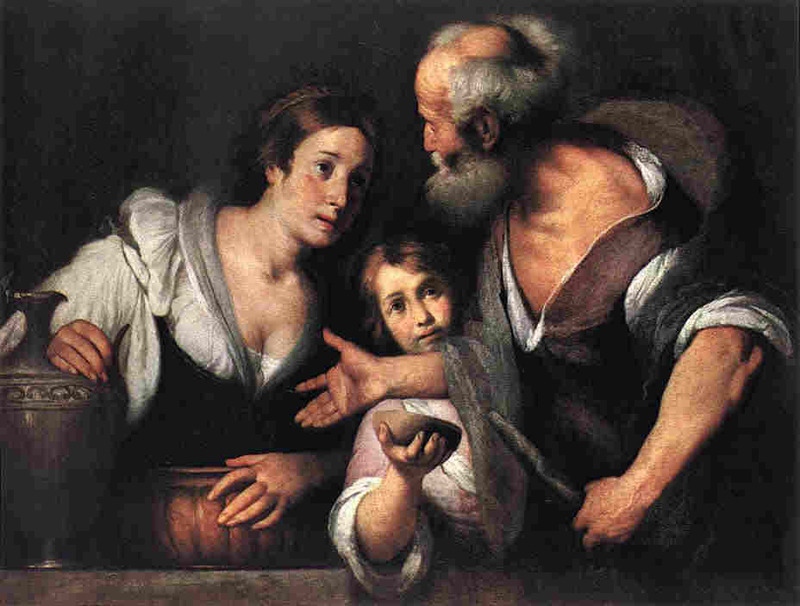 It was when the widow of Zarephath was down to her last bit of flour and oil that Elijah came. The Lord required this woman to exercise faith and feed Elijah first. Said Elijah to the widow, “fear not, go and do as thou hast said: but make me thereof a little cake first, and bring it unto me, and after make for thee and thy son” (1 Kings 17:13). After she exercised her faith, her meal and oil did not run out and she was able to provide for her family. There are so many examples of how the Lord shows that He is a God of the Fourth Watch. I recall a time when I witnessed a situation similar to those described in the scriptures. I was teaching seminary and became friends with a young woman we will call Jennifer. She was not very popular, considered herself plain, and rarely dated. Her family was not very active, but she did her best she could to live the gospel fully. Her attendance at seminary was excellent, and I was very fond of her. There was a wonderful young man who took the same seminary class as she did. We will call him Gary. He was kind to Jennifer. Every parent would be honored to have a son like this young man. He had one problem, however; he was extremely shy. Though he was good looking and came from an active family, he dated rarely. I was also very close to him. Both Jennifer and Gary had on separate occasions confided in me that they liked each other, but they swore me to secrecy about their feelings. The big dance of the year was approaching, and Gary wanted very much to take Jennifer, but he was afraid she would turn him down. I kept assuring him that his chances were very good, but his shyness remained a problem. At this stage another young man entered the picture. We will call him John. John was very confident with the young women. He was popular on campus and well known. His morals, however, were not very high. He was the type of young man that would make a young woman’s parents feel nervous. For some reason he started paying attention to Jennifer. This was flattering to her but also a concern. She came into my office one day to talk about him. Aware of the conflict she was struggling with, I urged Gary even more earnestly to ask Jennifer to the dance. I felt that if he asked her, it would give her the sense of worth she needed to avoid John. I finally convinced Gary, and he promised to ask her out on Friday. Thursday afternoon, John asked her to the dance. She did not agree to go, but told him she would call that evening. Once again she came to the office. “Maybe someone else will ask you,” I suggested, knowing who would call in just a few hours. I watched Jennifer go downhill through the rest of the year. Her attendance began to slip. I thought that if she could go away to school things might turn around again. With the help of the school we were able to arrange a scholarship for her, since her grades were good. This was to be announced after seminary graduation. However, her bishop phoned me one evening to tell me that Jennifer would not be graduating. I didn’t ask why, but it soon became known that she was going to have a baby, and Jennifer and John were married at the end of the school year. Their activity in the Church is minimal. I have thought since how close she came to dating the finest boy in the community. If I had known what was going to happen, I would have told her that afternoon that she was just a few hours away from a phone call from the boy she liked best. I never told her those things, and to this day she does not know. I am not suggesting that she would have married Gary and lived happily ever after, but I have the conviction that had she been able to hold firm to her standards one more day, her whole life could have been different. Since we do not know what is around the corner, or how soon the blessings we seek may come, or when the test will end, we must not allow ourselves to be blinded by the mist that tells us the corner will never come. I have also seen things turn out another way. While teaching at BYU, I became close to a young woman who was in love with a young man from her home state who was not a member of the Church. Her parents hoped that if she attended BYU, perhaps she would forget the boy back home and find a Latter-day Saint she could marry. She was unhappy and homesick throughout the semester, and in spite of all efforts to dissuade her, she decided to leave BYU and attend a local college in her home state. She felt sure that if she married the boy back home, she could eventually convert him to the Church. I remember our conversation the last day of the semester. I urged her to think seriously about the future, to stay at least the full year at the Y. “Perhaps you will meet someone here that will be as wonderful as the boy back home,” I said. “No one will ever be that great,” she replied. I watched her leave with anxiety for her future. The winter semester passed as well as the spring and summer terms. To my surprise she walked into my office the first week of class the following fall semester. This entry was posted in Happiness, Jesus Christ, Old Testament and tagged 1 Samuel 13, LDS youth, making choices, patience, relevance of the scriptures, seminary, The Fourth Watch, wait upon the Lord. Bookmark the permalink.